Investors rejected two non-binding but symbolically important shareholder resolutions related to climate change at Chevron’s annual meeting Wednesday. Driving the news: One resolution calling for more action cutting methane emissions narrowly failed at 45%. Another, more aggressive proposal calling for the oil giant to propose ways to lessen its production of fossil fuels received just 8%, according to As You Sow, a nonprofit group that filed the resolutions on behalf of some Chevron investors. The big picture: These votes are the latest in a trend of investors increasingly calling on publicly held fossil-fuel companies to be more transparent about how policies to cut greenhouse gas emissions could impact their bottom lines despite President Trump's retreat on the issue. 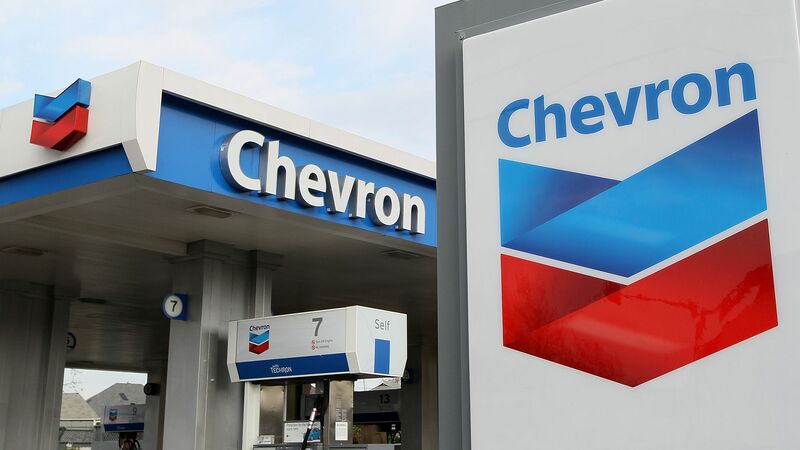 For the record: A Chevron spokesman referred to earlier statements and also said reducing emissions of methane, a potent greenhouse gas that's the primary component of natural gas, "makes good environmental and business sense." The methane vote, although not passing the 50% mark, is considered to be a strong showing and was in the same ballpark as similar ones at other oil companies, such as Range Resources, where a similar measure narrowly passed with 50.3%. The more aggressive resolution asking for a transition plan was widely expected to fail considering it went a step further than most other proposals by asking not just for more climate disclosure, but to change business strategy. Yes, but: The resolutions aren’t legally binding, but a majority support typically indicates the company will act to respond in some way rather than ignoring it, which companies often do for resolutions that don’t get close to or pass the 50% threshold. The process, which for most companies occurs in the spring, has been called "shareholder democracy."